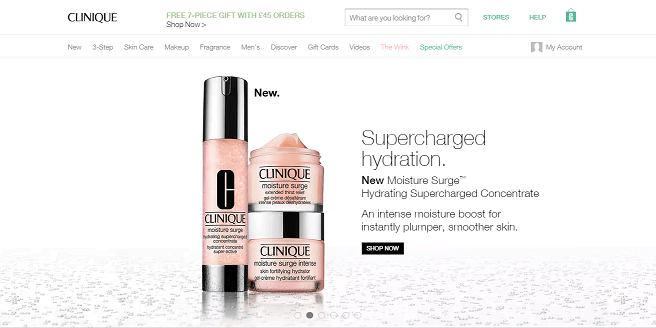 Sign up for free and just shop with Clinique as normal. Our average member earns over £300 cashback a year. Clinique cashback can be earned simply by clicking through to the merchant and shopping as normal. Clinique Cashback is available through TopCashback on genuine, tracked transactions completed immediately and wholly online. 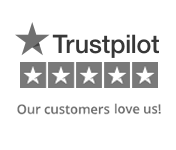 This merchant calculates cashback excluding VAT, delivery and any other charges. Shop for allergy tested and 100% fragrance-free health & beauty products you will love for the face, eyes, lips, hair, body and nails and make great savings by taking up our Clinique discount code and cashback deals. Their skincare products, which are gentle on the skin, form part of a three-step system of cleanse, exfoliate and moisturise which caters for individual skin types - including dry and oily - and treatment needs. Browse what's new in to discover the latest products or Clinique offers for superb discounts, whether you are looking for Superdefense age defense eye cream, Stay-Matte oil-free make-up, Beyond Perfecting foundation & concealer, liquid facial soap, sculpting nigh cream or seven day scrub cream rinse-off formula, while you can also search for fragrances and men's grooming essentials. Watch videos which will provide you with advice and tips, while you can also buy gift cards if you are searching for the ideal present. They offer free standard delivery and a Click & Collect service, while you should look out for Bonus Time, during which you can get your hands on fantastic free gifts, and sale events offering great Clinique deals. As one of the leading skincare brands, you will not be surprised to discover that Clinique offers a comprehensive product range. Their selection for the skin can be searched by category, whether you are looking for clarifying lotion, BB cream, cleansers, eye care solutions, Clinique Smart treatment oil, masks or serums, as well as concern, if you are in need of daily anti-blemish, age prevention, redness or SPF sun protection items, or suffer from blocked pores, fine lines or puffiness. If it is make-up you want to buy, you will find blush, All About Eyes concealer, Clinique foundation, powder, primer and brushes, as well as mascara, lipstick and lip gloss in various shades, while their collection also features perfume and men's fragrance, skincare sets and gifts. You will also discover skincare tools and accessories which will help you apply eye make-up and foundations, and achieve the right coverage and appearance, plus items like a cleansing brush. There is also the Clinique For Men collection, which includes products such as aloe shave gel, exfoliators and solutions to deal with dark circles. Beauty fans in search of Clinique offers will find plenty of deals by shopping directly on the brand's site while also earning money back for buying through TopCashback. As a great money saving tip, be sure to have a browse of Clinique's last chance section as it’s here that you can get your hands on discounted, end of line goods, and additionally, take a look at the special offers section to see what promotions Clinique is currently running. Some of the most popular offers are Clinique's freebies which can be unlocked in various ways when completing a purchase. One of the best ways to keep on top of all the deals is to sign up to the Clinique email newsletter, or better still you could opt to join the Smart Rewards programme. Members get a onetime 10% off for signing up and can earn points to collect bonuses contained within three tiers. Additional unlockable rewards include the likes of unlimited next day delivery, double point and VIP events, birthday gifts, early access to product launches and much more. Purchase two Clinique products - one of which must be skincare - during Bonus Time and you will receive a free gift, which will contain new items, favourites and exclusive items only available during this period. As an added bonus, you can book a personal consultation with one of their experts, who will show you how to make the most of your free items. They will show you how to co-ordinate the make-up products in your Bonus Time gift with other Clinique colour picks to achieve a hot or natural look. You can also take advantage of other in-store events, while they offer pre-wedding consultation appointments for you and your bridal party to help ensure you have great skin on your big day. As well as being able to buy fantastic health & beauty items, you will find a whole host of information, tips and more in The Wink section of the Clinique website. Find out about the latest skincare trends, read articles from beauty bloggers if you are in need of some inspiration and discover how you can get the latest look. There are also plenty of How To articles which give you advice on everything from understanding foundation formulas to using bold brows to highlight your eye area. If you feel you are lacking in skin smarts, Clinique will help you decide if you need to use a serum, how to deal with blemish breakouts, how to handle dry skin and more, while you can read up about skincare visionaries. There is a lifestyle section packed with information on how the right nutrition and exercise can help improve the look and condition of your skin, while The Index is an A-Z guide to products, conditions and more. When it comes to receiving your purchases, you will be presented with various delivery and collection options. When ordering online, you can choose to have your items sent to a shop which is part of the UPS Access Points network for free. This will take 2-5 working days and they will contact you via email when your order is ready to be picked up. You will need to take a form of photo ID when collecting your parcel. If you prefer your items to be sent to your home, they offer free standard delivery with all orders, which will see your products arrive in 2-5 working days. With named day delivery, you can select a date (Monday-Friday and excluding Bank Holidays) which is convenient for you, while if you order by 3pm, you can opt for next working day or next working day AM delivery, the latter which will see your order delivered by 3pm. Finally, order by 3pm on Friday you can choose to have it delivered on Saturday. Get cashback when you buy allergy tested and 100% fragrance free skincare and make-up products at Clinique with these hot deals. Their products are designed to address individual skin types and needs, are based on the research and expertise of leading dermatologists and provide a three-step system of cleansing, exfoliating and moisturising. Whether you have dry, normal or oily skin, you will find masks, BB cream and bodycare for blemishes, wrinkles, uneven skin tone and more. Their make-up range features everything from foundation, mascara and lip gloss to bronzer, eyeliner and brushes, while they also sell fragrance and men's grooming products. 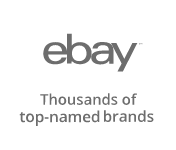 Use their tools to customise solutions just for you, browse hot lists of the latest and greatest products and view special offers. Clinique offer free standard delivery, while you can also click and collect from one of their stores.